Former England scrum-half Matt Dawson has launched a stinging attack on another ex-international and now journalist Paul Ackford. Dawson, a Rugby World Cup winner in 2003, took to micro-blogging site Twitter to delight at unconfirmed reports that Ackford had parted company with the Sunday Telegraph newspaper. "What fab news!! Allegedly Paul Ackford is done at the Sun Telegraph," he wrote. "Good riddance u bitter man! harsh but he knows why." The exact reason behind the 40-year-old's outburst is unclear although it is thought to stem from a critical piece penned by Ackford, who earned 25 Test caps for England the Lions during his playing career, in the wake of Dawson's retirement from the game in 2006. "In 2006 Ackford printed the news of my retirement as good as the banning of a drugs cheat," Dawson added. Dawson is thought to be referring to Ackford's review of the 2005-06 season where he bracketed Dawson's retirement with the suspension of former Australia international Wendell Sailor for a positive drugs test under a headline that read: "Goodbye and good riddance". 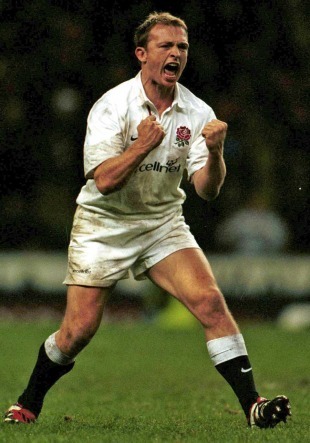 It continued: "Matt Dawson (England), a hugely talented man but, boy, doesn't he know it? Lansdowne Road (Ireland) and Wendell Sailor (Australia). Sailor, 31, is currently suspended, awaiting examination of his B sample, having returned a positive drug test last month." It is not the first time that Dawson, a veteran of three British & Irish Lions tours, has been critical of Ackford. In his 2004 autobiography Nine Lives, Dawson spoke of how he had deeply 'resented' an article by Ackford that allegedly questioned his attitude and professionalism. Dawson's comments have drawn a mixed response from his Twitter following that numbers in excess of 182,000. Among the critics was another former England international Brian Moore who wrote: "Matt this is making you look childish." He later appeared to play down his original Tweet, adding: "I haven't sat about crying into my Bordeaux waiting for Ackford to leave. It just so happens it made a good Tweet. I'm still my happy go lucky simple soul looking forward to every day with my friends and family."